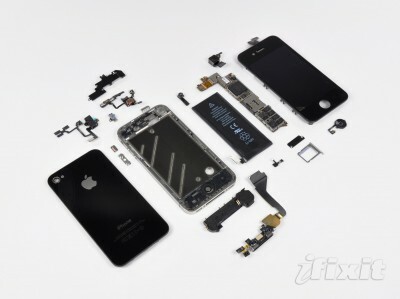 iFixIt experts have teared apart the new Apple’s plastic iPhone to show us what’s inside of the long-expected gadget. This happened on Friday - the day, when the iPhone 5s and iPhone 5c were officially launched in the United States and several other countries. The iPhone 5c can boast of a 1510mAh battery, Apple A6 processor and 1GB or RAM. All this makes it very similar to the iPhone 5. Still, it differs from it very much. Although both new iPhones sport a similar construction and share some internals, don’t get your hopes up too high for parts cross-compatibility, thanks to the differences between the display assemblies and the differently-sized FaceTime/speaker connectors. 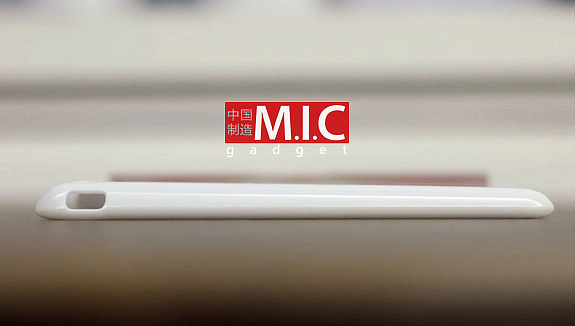 Below you may watch the iFixIt roundup of the iPhone 5c teardown. 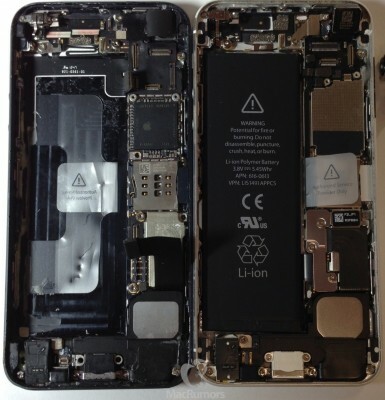 New photos allegedly of the iPhone 5S clearly shows it's internal components, a dual-LED flash, and possibly a new A7 chip, reports MacRumors. The site received the photos below as follow up to photos previously posted which showed the interior and rear exterior of the upcoming device. 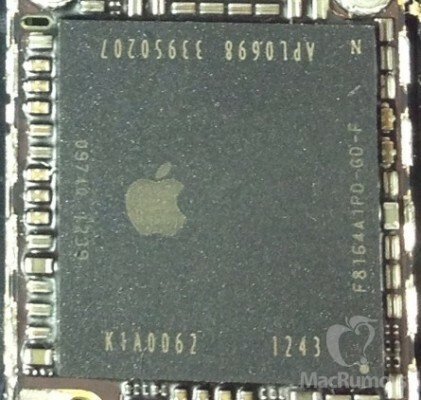 As seen in one photo, the chip carries an Apple model number of APL0698, suggesting that this is indeed intended to be branded as an A7 chip rather than a modification on the A6 chip found in the iPhone 5. The original A6 chip carried a model number of APL0598, with the A6X found in the fourth-generation iPad carrying an APL5598 model number, demonstrating how Apple varies the first digit for members of a given A-series family and increments the second digit when transitioning to a new family. Other features noticeable include 1GB of Elpida DRAM, a dual-LED flash, and a main chip identifier of K1A0062. Previous chips had a number that started with N. It's suggested that perhaps this chip was produced by TSMC instead of Samsung. 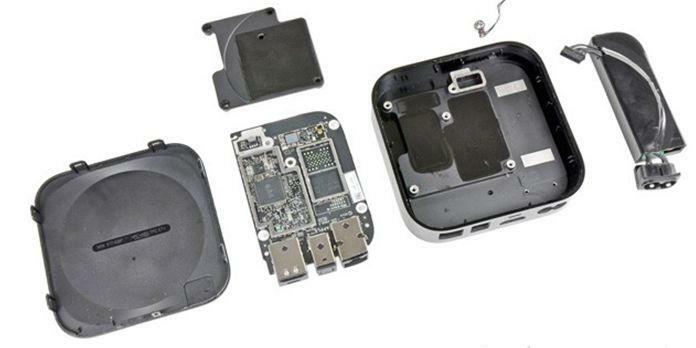 MacRumors was also able to determine that the device was assembled in December 2012 making it a very early prototype. 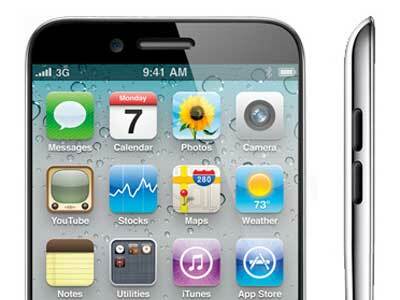 Apple is expected to release the iPhone 5S this fall. Take a look at the photos below for more details! 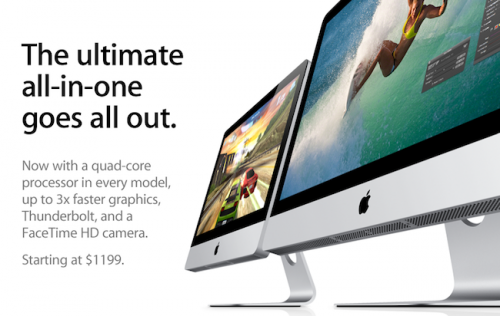 New iMac Available For Order In The U.S.
Apple has already begun accepting orders for its new iMac models in the online store. The new iMac models offer significantly reduced thickness and add a new Fusion Drive combining a traditional hard drive and flash storage to maximize speed and capacity. 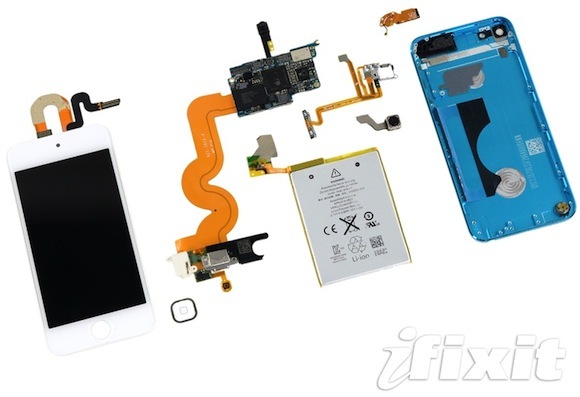 Experts from a teardown firm iFixit examined the internals of the new fifth-generation iPod touch. 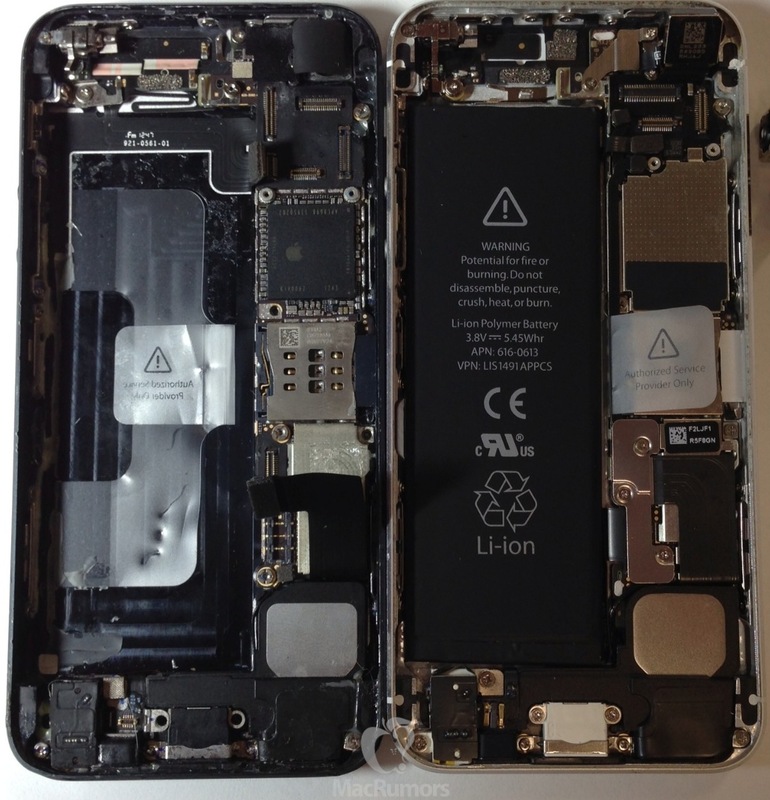 The teardown offers a look at how Apple has managed to pack all of the details into a body, which has 20 percent less volume than the fifth-generation iPhone. 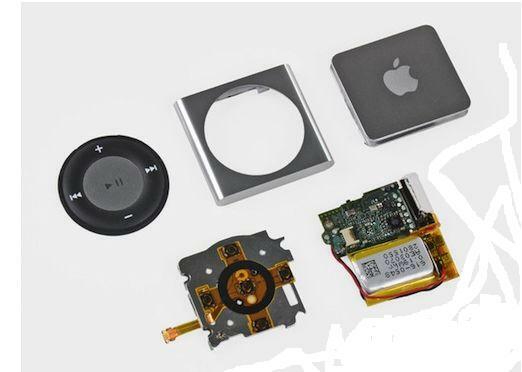 The iPod touch lacks cellular communications technology and carries fewer details, which are consolidated into a handful of parts. The battery and logic board are smaller than in the iPhone 5 and they are arranged in a top-and-bottom layout unlike the side-by-side layout used in the iPhone. We have already found two new iPads and the next-generation Apple TV codenames tonight. Now we are are ready to something big. Here is, perhaps, the most important find of all: iPhone 5,1. That's right, the next version of the iPhone is has been found in iOS 5.1 internals. This codename also tells us that iPhone 5 would be a major update. New 4,x model would represent minor changes. For example, the iPhone 3G went from the original iPhone 1,1 to 1,2 because there were no internal speed and performance enhancements, just 3G and a GPS. The jump from 4,1 to 5,1 represents major changes, both internal and external. 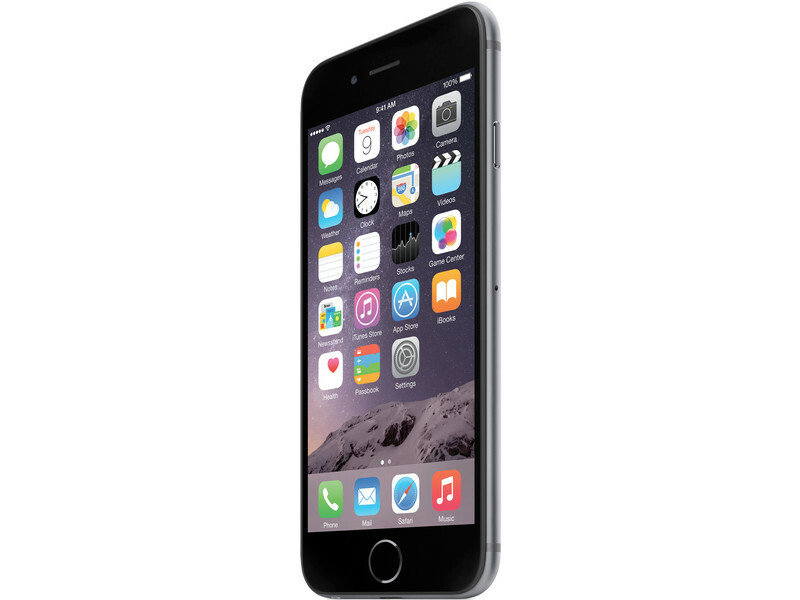 This means the iPhone 5/6 will have a brand-new processor, probably A6. Rumored additions for externals are a 4 inch display and a new aluminum casing. Since Apple just released the iPhone 4S in October 2011, we should not expect iPhone 5 anytime soon. 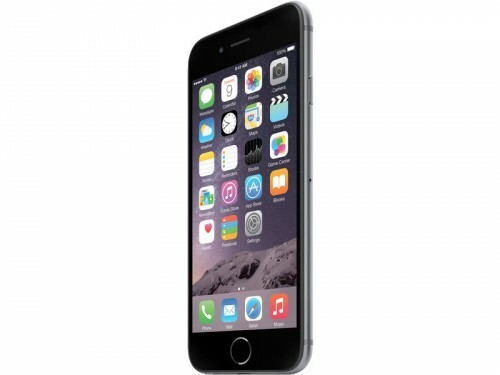 New iPhone will come next October or maybe in the summer. With the 5,1 reference appearing this early, we like to think the latter. The new 2011 iMacs — the ones with Thunderbolt, Sandy Bridge processors and better graphics — don’t allow you to use any other hard drive but Apple’s custom ones, which are running a custom firmware to provide temperature monitoring through a new 7-pin SATA connector. 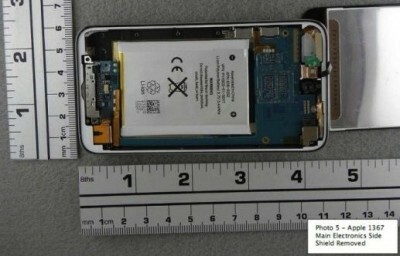 iPod touch 4G teardown photos have appeared on the website of the U.S. Federal Communications Commission (FCC) аlong with other standard information on radiation emissions required by the FCC for approval. As you remember, some time ago Gizmodo acquired an iPhone 4G prototype for $5,000. The story was pretty mystical - Gray Powell who is (or was?) an Apple employee decided to drink some beer and then lost his iPhone 4G in the pub. 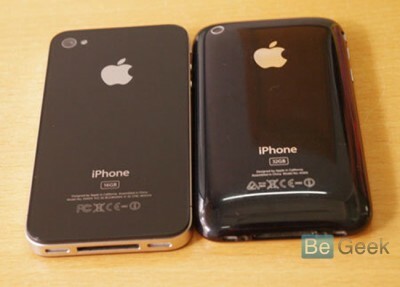 Another guy found it and then supposedly tried to bring it back to Apple, but nobody believed it's an iPhone 4G. So he sold it to Gizmodo. Journalists at Gizmodo were very happy - they made a video of it, took dozens of pictures, disassembled it and again made photos and videos. Then Apple officially asked Gizmodo to bring it back and they did it. Well now we have information from the report made by Greg Sandoval at CNET where it is said the police are currenty investigating the circumstances of the story to find the evidence enough to support the criminal prosecution.